P.240, "Grandma Eleni says it’s my name, Astradeni, that’s to blame, because Astradeni means ' the one who binds the stars.' And who, other than a fairy creature, can bind the stars? I don’t tell anyone this, of course…" Symi, the small island near Rhodes, is where the eleven-year-old heroine of this novel grows up, until financial reasons oblige the family to move to Athens. Astradeni leaves behind a closeknit community, a natural setting that stimulates her imagination, and a rich store of traditional values in which both religion and magic lore have their place.The author lets her tell her own story with winning charm and candour in a style that allows her sensitivity and the sparkle of her intelligence to shine through. 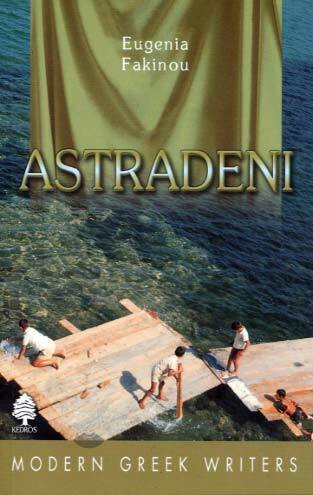 A born storyteller, Astradeni supplies vivid details of the life and human relations on a remote Aegean island, as well as her efforts to adapt to the hard and alienating conditions of city life. For beneath the surface charm of a young girl’s narrative the reader is in fact witnessing a painful process of social change, the violence done to the sense of values of individuals experiencing an abrupt transition from a traditional agrarian culture to a competitive, industrialized society of consumers.